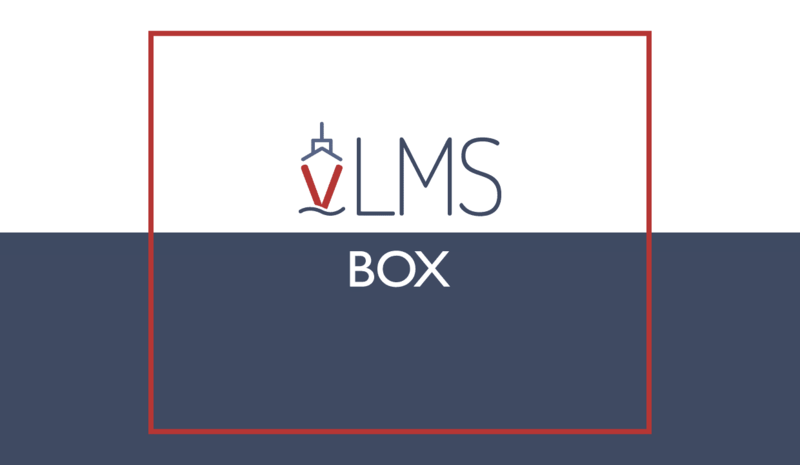 VLMS box is a hardware solution for onboard training. VLMS box can be used either as an e-learning dedicated mini server or as a workstation. When used as a server users can access e-learning courses within the local network on the vessel using their own PCs or dedicated workstations. When VLMS box is paired with a keyboard/mouse and a screen it can be used as a dedicated workstation. Using either method VLMS box allows users to access e-learning courses stored in VLMS box while their activity is synchronized with an ashore cloud installation called HQ LMS. HQ LMS allows the crew manager to manage and monitor the training process across the fleet in real time. SQLearn’s VLMS is a web based e-learning system specifically designed for the shipping industry. VLMS can be used from any modern PC and helps the crew as well as the officers to access training resources and assessments. The vLMS, an e-learning platform installation per vessel that is able to communicate with HQ LMS in order to receive files (course or user data) and send back to HQ LMS user activity reports. A Training Matrix plugin is integrated in HQ LMS and automatically creates course enrollments based on a company’s training matrix rules. Course enrollments are sent automatically to all vessels so that each seafarer can attend the courses that correspond to his current rank.